This time of year, holiday parties abound! Family parties, work, school, church, and more. Parties are everywhere! A popular activity at these parties is a white elephant gift exchange. But what is a white elephant??? 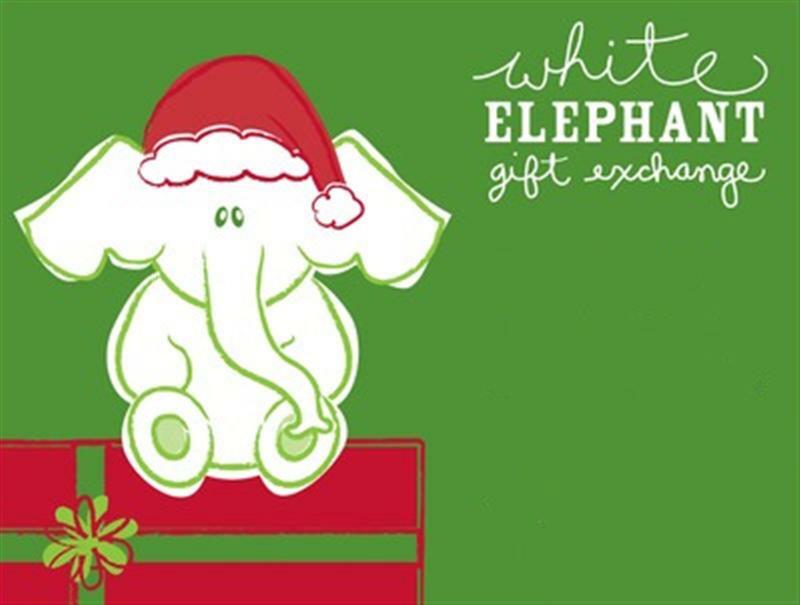 The term 'white elephant' refers to an extravagant but burdensome gift. It comes from the legend of a king of Siam who used to give white elephants to people who displeased him. A gift that seemed great, but was really tough to care for. Funny - quirky humor makes them fun to receive. Examples: reindeer that poops jelly beans, gag gifts, stuff like that. Weird - something that is kind of off the wall. Great examples I've seen: a giant tee-shirt with several small stuffed animals sewn to it, a big box of mayonnaise packets, homemade artwork. Nice - a gift that would be in demand. These can include gift cards, geeky or cool gifts, chocolate, or something that is highly desirable.